A delicious fish dish the whole family can enjoy. Skin the mackerel and check for any small bones. Put the fish into a food processor along with the rest of the ingredients except the seasoning. Pulse in short bursts to bring all the ingredients together while still leaving some texture. Check the flavour and add a little salt and pepper if needed. Remember that the mackerel itself can be highly seasoned, so be careful not to overdo it. Spoon into a Kilner jar or serving bowl and chill in the fridge for a few hours to let the flavours develop. 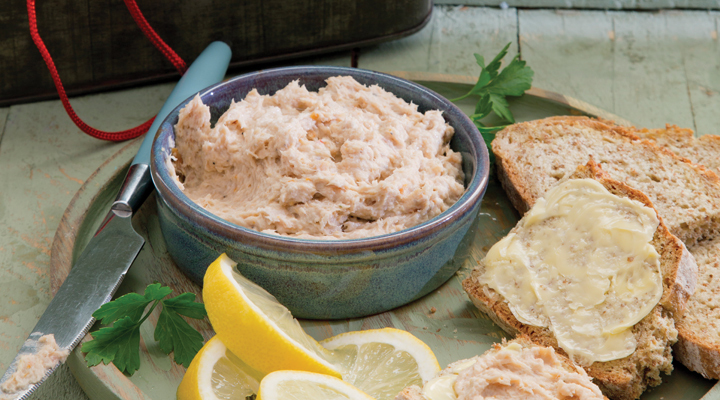 Serve with brown bread, toast or crackers and a squeeze of lemon juice on top. This keeps in the fridge for up to a week.